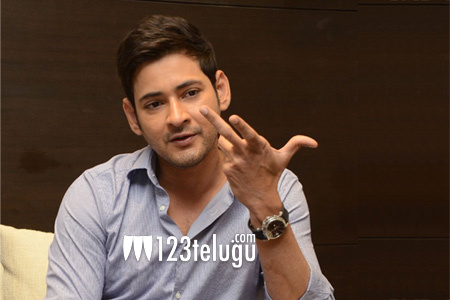 Mahesh Babu is a happy man as he is quite pleased with the way his film Bharath Ane Nenu has turned out. On the eve of the film’s release, we caught up with him for a detailed interview. Here is the transcript. How nervous are you about your film’s release? This is the best pre-release phase in my entire career. Never was I so happy for a film till now as Bharath Ane Nenu has come out more than I expected and I am eager to see the reaction of the audience. What kind of preparation went into playing a CM in the film? Acting wise, this is the most difficult role I have done to date. It was very hard for me to mouth such lengthy dialogues and that too political one. I saw a few of my brother in law, Jaydev Galla’s speeches in the parliament and took a bit of inspiration from him. Overall, I found it very hard but with the help of Koratala Shiva, I managed to give my career-best performance. When did you know that this film will be quite special in your career? The day I heard the script, I knew that I am working on something special. But the day I heard the theme song of Bharath, I had goosebumps and knew that the film is going to have a strong impact on the society. What kind of reactions will your film generate from the political leaders? I feel that it will make every leader even more socially responsible towards the society. There will be a massive response from all the political parties and everyone will lap this film big time. What kind of impact did this leave on personally? I clearly understood that politics is no joke and things are not that easy as they look. I feel even more socially responsible now and am concerned about the society a bit more now. How confident are you about the outcome of the film? This time around, things look quite good as the film has come out quite nicely. The script and scenes are so good that this film can be made into two parts. The film will create a huge impact and leave everyone quite impressed completely. What did you learn from your previous two flops? I am done experimenting with my roles and will only do commercial films in the future. Frankly speaking, I have lost patience in the last few years and will do films which my fans like me in. How did you disconnect yourself after working on such an intense film? Generally, I go on a holiday as soon as my film releases but this time around, I took a holiday beforehand as I got released from the release pressure the moment I saw the first copy. Whose idea was it to invite NTR for the audio launch? It was a collective idea and everyone in the team felt that NTR should come in as the chief guest. We meet on a regular basis and speak about everything except cinema. I need to thank NTR for coming in as the chief guest and acts from actors like these will surely change the trend in the industry. After acting in a political film, are you excited to join politics? As said earlier, I have no interest in politics and will be working in movies till my last breath. Politics is a different ball game and I have sincere respect towards all the leaders who are only doing things for the betterment of the society. As of now, my new film with Vamsi Paidipally will start in June first week. We will shoot mostly in the US. Apart from this, I will be working with Sandeep Reddy and Sukumar for my next projects.